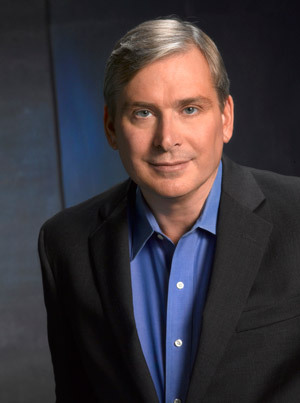 The New Jersey World War II Book Club, a Not for Profit New Jersey Corporation, is pleased to announce a lecture by historian, Dan McMillan, author of the acclaimed How Could This Happen: Explaining the Holocaust (Basic Books, 2014). McMillan will speak on Tuesday, January 20, 2015 at 7 p.m., at the Millburn Library, 200 Glen Avenue, next to the Millburn train station. Dr. McMillan's talk is titled: "The Holocaust and Humanity's Moral Progress: An Argument against Pessimism." The lecture is free and open to the public. What does the Holocaust say about humankind's capacity for moral progress? What does it say about our nature? The Holocaust has inspired considerable pessimism. If the most advanced human society could perpetrate history's most monstrous crime, is our civilization morally bankrupt? Dr. McMillan will approach these vital questions from three perspectives: first, Dr. McMillan will analyze the many cases of the Holocaust and the complex ways that they came together to produce this catastrophe. Then he will ask: could this happen again? That is, could one of the world's established democracies, such as Germany or the United States, perpetrate another genocide? 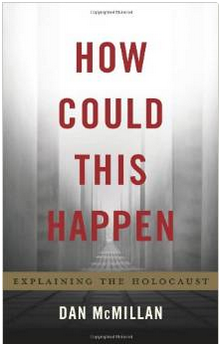 Finally, Dr. McMillan will ask why the Holocaust frightens us like no other historical event. He contends thal the Holocaust was unique among historical occurrences in the way that it onfronts us with existential questions, inspiring fear that clouds our judgment about what this tragedy tells us — and does not tell us about human nature. Dan McMillan holds a Ph.D. in German history from Columbia University and a J.D. from Fordham University School of Law, and has worked as a prosecuting attorney and as a history professor. Dr. McMillan began his lifelong engagement with the Holocaust as a teenager growing up in Millburn. After reading Simon Wiesenthal's The Murderers Among Us, Dan needed to understand how such a catastrophe could have been possible, and this need shaped much of the course of his life: he learned German from Frau Spier at Millburn High School, studied German and History at Stanford University and at the Freie Universität in Berlin, earned a Ph.D. in German history at Columbia, and worked constantly to understand the many causes of the Holocaust. An acclaimed public speaker, Dr. McMillan has spoken at, among other venues, the Franklin Delano Roosevelt Presidential Library, the University of Chicago. and the National Archives in Washington. For more information, contact Dr. John J. McLaughlin, Director and Moderator of the Book Club. Dr. McLaughlin can be reach d at (973) 467-3313 or at NJ WW2BookCIub@aol.com.